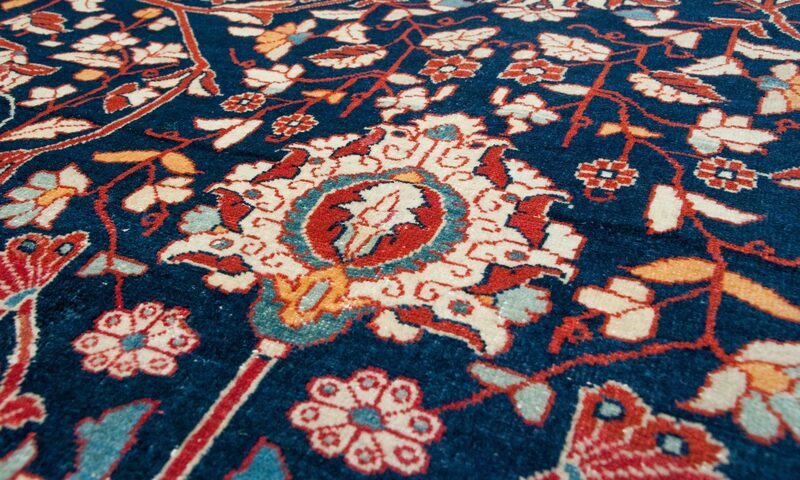 Exact Size: 6'0" x 9'0"
6′ x 9′ ( 6 ft x 9 ft ) Arts & Crafts oriental rug circa 1996. This modern / contemporary style hand-knotted rug is made of wool pile on cotton foundation in India. Main rug colors are black and multi color. This rug is available for sale at our Scarsdale location. Website orders may be placed thru our customer service department at 914-472-1700.